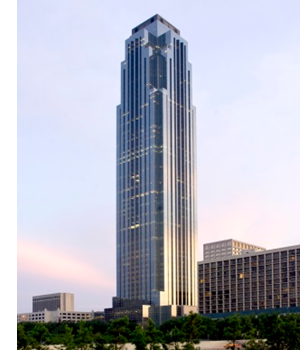 Oklahoma-based Williams Cos. renewed its 353,944-sf lease at Williams Tower. The 64-story tower off Post Oak Blvd. contains 1.5 million sf of office space, per a release from CBRE’s Houston office. It’s the largest office renewal announced to-date in 2018. Williams has roughly 700 employees based at the tower. Williams and its affiliated companies have occupied the tower since it was developed in 1983. Williams Tower is the city’s tallest office building outside of Houston’s downtown core. The building is 92.3 percent leased. ​C​heck out more Houston-The Woodlands-Sugar Land Office News HERE.